OK for anyone who hasn't seen Eclipse today, all I got to say is GO SEE IT NOW!!! I loved the movie. Without giving anything away, I just want to say the fight scene was beyond Awesome, and there were points where I laughed, and cried!! I went with my Sisters today, and Saturday I get to see it again with my Husband!! I cant believe it is opening day!!! My Sisters and I have had tickets for over a month!! We are seeing the movie at 6:30 tonight. I would love to hear what your reactions are to the movie for those who see it today. No spoilers please!! Here is an interview I thought was fun, and a great clip from the movie!!!! This is one of my favorite pictures. 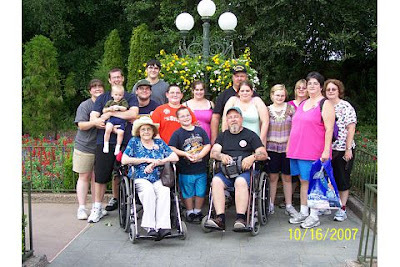 I went to Disney World with ALOT of my Family in 2007. My Grandma has had limited travel over the last couple decades, so we all went together!! I had my Husband and Oldest Son (Doug wasn't thought of yet!! ), My two Sisters (My Brother had to work), My Parents, Grandmother, My two Aunts and their 5 Children all together, and A Friend of My Aunts. We had such a great time. I am very close to My Family. We spend alot of time together. 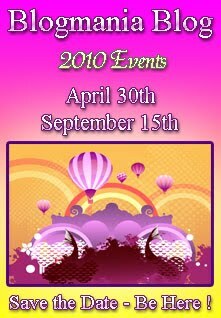 We are currently trying to plan another large get together next year, and another Disney Trip in 2013 for mine and my Husbands Ten Year Anniversary!! Keeping up with Vampire Week, here are some Vampire Jokes!!!! •Q: Why doesn't anyone like Count Dracula? A: He's a pain in the neck. •Q: What does Dracula say when introduced to someone? A: "Hello, pleased to eat you!" •Q: What is Dracula's position in baseball? •Q: Why did the vampire's lunch give him heartburn? •Q: What do you call a dog owned by Dracula? •Q: What is a vampire's favorite fruit? •Q: Whom did Dracula take out on a date? •Q: What is the best way to talk to Count Dracula? •Q: Who is a vampire likey to fall in love with? A: The girl necks door. •Q: How does a girl vampire flirt? •Q: Was Dracula ever married? A: No he's a bat-chelor. •Q: Why did the teacher send Dracula jr. home? A: Because he was coffin too much. •Q: What do you give a vampire with a cold? •Q: What did the teacher say to Dracula after he failed his math test? A: Can't you count Dracula! •Q: What is a vampire's favorite game? •Q: Why did the vampire need mouthwash? A: He had bat breath. •Q: What do vampires have at eleven o'clock every day ? A: A coffin break ! •Q: Why did the vampire go to hospital ? A: He wanted his ghoulstones removed ! This I found really interesting. The emergence of Vampirism in the Mediterranean Basin. Tomb of the Vampire is erected in Giza, Egypt. Jesus is claimed to have healed vampires at Capernaum. Reign of Longinus, Rome's Vampire Emperor. Charlemagne defeats Quadilla the Vampire thus saving Rome. 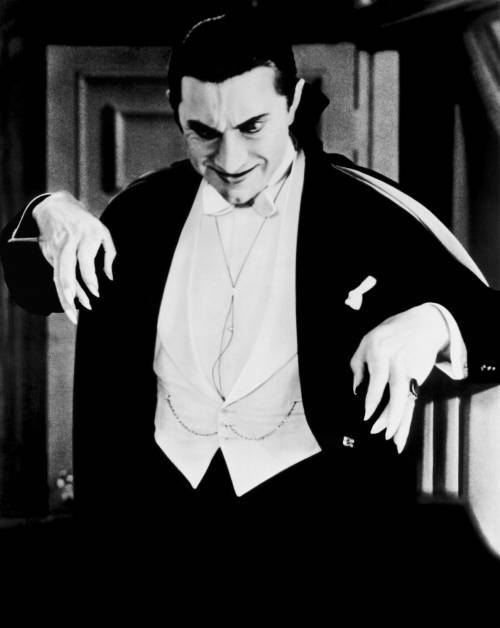 "Upir" makes it's first appearance as a word referring to a Russian prince as "Upir Lichy", or wicked vampire. First Crusade expels vampires from The Holy Land, Jerusalem. "Chronicles" by William of Newburgh's. It recorded several stories of vampire-like revenants in England. "Dracula" aka Vlad Dracula or aka Vlad the Impaler is born. The Malleus Maleficarium (the witch hunter's bible) is written by Heinrich Kramer and Jacob Sprenger. The topic of how to hunt and destroy a vampire is discussed within it's pages. Italian scientist Ludovico Fatinelli burned at the stake for suggesting a biological cause for vampirism in his "Treatise on Vampires". "The Ship of the Dead" brings vampires to the New World. A German vampire text, "De Masticatione Mortuorum", is written by Phillip Rohr. The word "vampyre" enters the English language. The first modern vampyre poem, "Der Vampir", is published. A vampire appears in Lord Byron's The Giaour. John Polidori's "The Vampyre," is the first vampire story in English is published. Haussman destroys Paris' Vampire Quarter then rebuilds city. Copper Creek Siege in California prompts formation of Federal Vampire and Zombie Agency. New York Vampire riots ensue. Steketee's Vampire Rights movement in France is started. "Dracula" by Bram Stoker is published in England. Worldwide vampire population hits the one million. Fritz Haarmann the "Vampire of Hanover" is arrested, tried and convicted of killing more than 20 people in a vampire crime spree. The movie "Vampyr," directed by Carl Theodore Dreyer, is released. U. S. President Franklin Roosevelt unveils "The Zozobra Project". "Son of Dracula", stars Lon Chaney, Jr., as Dracula. In New Mexico an auto mechanic named Joe Valdez becomes the first successful recipient of the vampire vaccine. The Count Dracula Society is founded in the United States by Donald Reed. "The Munsters" and "The Addams Family"; television shows with vampire characters. Due to the Lazo Disaster in Siberia, the United Nations (UN) passes a resolution banning vampire blood research. Sean Manchester founds The Vampire Research Society. "In Search of Dracula" by Raymond T. McNally and Radu Florescu is published. --Stephan Kaplan founds The Vampire Research Centre. The first of The Vampire Chronicles, "Interview With the Vampire", by Anne Rice is published. "The Vampire Lestat" by Anne Rice is published and reaches the best seller list. President Reagan lifts ban on the vampire and zombie blood research. "Methuselah Project" is initiated at the Santa Rosa Institute. "The Queen of the Damned" is published by Anne Rice. Vampire: The Masquerade," the vampire role-playing game is released by White Wolf. "Bram Stoker's Dracula" directed by Francis Ford Coppola opens. Andrei Chikatilo of Russia, is sentenced to death after killing and committing vampirism 55 people.-"The Tale of the Body Thief" by Anne Rice is published. Buffy the Vampire Slayer is a 1992 American action/comedy/horror film about a valley girl cheerleader named Buffy (Kristy Swanson) who learns that it is her fate to hunt vampires. The movie is a parody which plays on the cliches of typical horror films. The film was written by Joss Whedon who later created the darker and more acclaimed TV series of the same name starring Sarah Michelle Gellar. It was a moderate success at the box office and received mixed reviews from critics. The film version of Anne Rice's "Interview with the Vampire" opens with Tom Cruise as the Vampire Lestat and Brad Pitt as Louis. TV series - Kindred: The Embraced airs on TV. TV series - Buffy the Vampire Slayer airs on TV. An American television series; a supernatural drama that aired from March 10, 1997 until May 20, 2003. The series was created in 1997 by writer-director Joss Whedon. The series narrative follows Buffy Summers (played by Sarah Michelle Gellar), the latest in a line of young women known as Slayers. Slayers are chosen by fate to battle against vampires, demons, and other forces of darkness. Like previous Slayers, Buffy is aided by a Watcher, who guides, teaches, and trains her. Unlike her predecessors, Buffy surrounds herself with a circle of loyal friends. TV Series - Angel airs on TV. An American television series, a spin-off of the television series Buffy the Vampire Slayer. The series was created by Buffy's creator, Joss Whedon, in collaboration with David Greenwalt, and first aired on October 5, 1999. The show details the ongoing trials of Angel, a vampire whose human soul was restored to him by gypsies as a punishment for the murder of one of their own. After more than a century of murder and the torture of innocents, Angel's restored soul torments him with guilt and remorse. During the first four seasons of the show, he works as a private detective in a fictionalized version of Los Angeles, California, where he and a variety of associates work to "help the helpless" and to restore the faith and save the souls of those who have lost their way. Typically, this involves doing battle with evil demons or demonically allied humans, primarily related to Wolfram & Hart, a law firm. He also has to battle his own demonic nature. Blade is released into theaters. Pandora by Anne Rice is published. The Vampire Armand by Anne Rice is published. Blade II is released in theaters. Blade forms an uneasy alliance with the vampire council in order to combat the Reaper vampires who feed on vampires. Queen of the Damned is released in theaters. The vampire Lestat becomes a rock star whose music wakes up the queen of all vampires. Twilight is released in theaters. A teenage girl risks everything when she falls in love with a vampire. TV Series - True Blood airs on HBO. The Twilight Saga: New Moon is released in theaters. 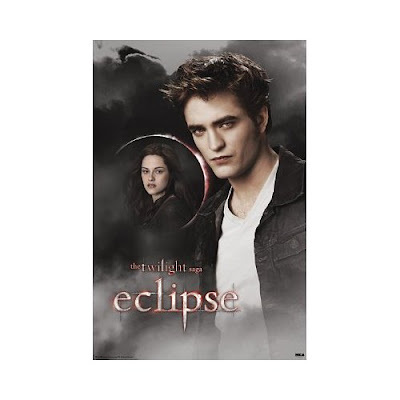 Following Bella's ill-fated 18th birthday party, Edward Cullen and his family abandon the town of Forks, Washington, in an effort to protect her from the dangers inherent in their world. As the heartbroken Bella sleepwalks through her senior year more of high school, numb and alone, she discovers Edward's image comes to her whenever she puts herself in jeopardy. Her desire to be with him at any cost leads her to take greater and greater risks. With the help of her childhood friend Jacob Black, Bella refurbishes an old motorbike to carry her on her adventures. Bella's frozen heart is gradually thawed by her budding relationship with Jacob, a member of the mysterious Quileute tribe, who has a supernatural secret of his own. When a chance encounter brings Bella face to face with a former nemesis, only the intervention of a pack of supernaturally large wolves saves her from a grisly fate, and the encounter makes it frighteningly clear that Bella is still in grave danger. In a race against the clock, Bella learns the secret of the Quileutes and Edward's true motivation for leaving her. She also faces the prospect of a potentially deadly reunion with her beloved that is a far cry from the one she'd hoped for. The Vampire Diaries series airs. It is about a teenage girl torn between two vampire brothers with a long dark past." I guess I cant play favorites, so here is an interview with Taylor Lautner (Jacob) back before Twilight came out!! For all you Team Jacob Fans!! 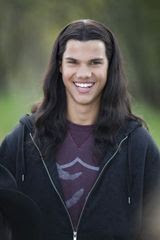 Taylor Lautner snagged the coveted role of Jacob Black in Twilight without knowing what he was getting himself into. Lautner wasn't familiar with Stephenie Meyer's bestselling book series about Bella (Kristen Stewart), a high school girl who falls in love with a handsome vampire named Edward (Robert Pattinson), but now he confesses he's a fan of the fictional world Meyer created. And it's a good thing he's now a fan as his role is much bigger in the sequels to Twilight: New Moon, Eclipse and Breaking Dawn. At Twilight's Los Angeles press junket, Lautner looked like he was having a blast promoting this film. Lautner's energy level was up, even after facing a seemingly neverending line of journalists, and his genuine enthusiasm for the film was definitely evident. Was it worse three months ago when there was just all the anticipation or now that it's almost here? Taylor Lautner: "Now, because the next two weeks are probably going to be…"
Taylor Lautner: "Yeah. [Laughing] No, I mean they're going to be fun. It will probably go by super slow for me though just because I'm so excited. It’s a hard decision because when I first finished filming I was like, 'Am I really going to have to wait like eight months for this to come out? That seems like forever.' And it just flew by, flew by and now it's going on two weeks. I'm so excited and then the next two weeks are going to be the busiest weeks of my life." Do they have you booked every minute of the day? Taylor Lautner: "Every second. Not a day off. I mean this whole weekend is press junkets until Sunday night, Monday morning I wake up, get on a plane and do a six-city tour in six days throughout the United States. Come back at midnight on the 16th, the next day is the 17th - the premiere. A couple of days later it comes out. Oh no, sorry, the 18th they have a big autograph signing in LA, then it comes out, then two days later I film My Own Worst Enemy before I leave. And then I leave again on the 28th to go to Australia for a week and a half." So when are you going to sleep? Taylor Lautner: [Laughing] "I don't know!" Did you have the slightest idea when you signed on that it would be anything like this? Taylor Lautner: "No. When I first found out I had an audition for some Twilight movie, my agent told me, he's like, 'Yeah, this one’s kind of big. This one's big.' And I was like, 'I've never heard of it. Oh, okay.' So I go in on it, and yeah, the director's really cool. I meet the director, I go back and I read with Kristen Stewart and she's really cool. Still have no idea what the project is about or how big it is. So then I get cast and I go do my research. 'Oh this is based off a book series. How big is the book series?' So I check it out and just mind-blowing. I'm just, 'Oh my gosh, what am I getting myself into?!' This is life-changing, so now I'm so excited to be a part of it." It is life-changing. How have things changed? I'm sure you're bombarded by fans all the time now, right? Taylor Lautner: "Yes. I mean it hasn't changed as much as most people would think it has. I tested out of high school so I'm taking college classes still. I do have, except for these two weeks, I usually have quite a bit of free time. I film My Own Worst Enemy but that's only about two days a week. And besides that, I mean I'll have zero free time for the next three, four weeks but it hasn't been bad. But I mean the difference is Twilight fans are everywhere. You're just walking down the street or at a premiere, anywhere, anywhere and everywhere there is Twilight fans." It's crazy. And playing Jacob, did you ever think of just growing your hair long? You don't want to do it? Taylor Lautner: "I had the experience of doing it for while I was filming and I think I'm done with it for now." So you don't think having your own hair would be better than just having to put on that wig? Taylor Lautner: "Yes, it probably would. It definitely would be more comfortable. I just don't think I could stand walking around like that in public. I don't know. It's so weird looking at myself in the mirror and going, 'Is that me?' It’s like it looks so different, it's weird to me. It's like, 'Wow!' I've never had my hair longer than it is right now, so just looking at myself like that is like, 'Wow, do I look like a girl? I do look like a girl, ah!'" Earlier in the day you were talking about how there's underwear with 'Team Taylor' on it. Does it have your picture on it or is it just 'Team Taylor'? Please tell me it does not have your picture. Taylor Lautner: "I don't think it does have my picture on it. It just says Team Taylor in like rainbow colors. So yes, I'm waiting for the day where a fan comes, 'Taylor, can you sign my underwear?'" Will you do it if somebody asks? Taylor Lautner: "I'll probably do it but…"
You'd turn bright red doing it. Taylor Lautner: "I'm like, 'Okay…I saw these things on the internet and now I'm signing them!'" New Moon is going to be all about you and Bella. Are you ready for that one? Taylor Lautner: "I'm trying not to think about it. I mean Jacob's character becomes very cool and a lot more in-depth in the rest of the series. He's my favorite character. He's so cool." If you had a chance to play Edward you wouldn't have played him? Taylor Lautner: "It would be hard. It would be a hard decision, but I do actually stand behind Jacob. I'm definitely Team Jacob." Team Jacob all the way. Taylor Lautner: "Oh yes. Oh yeah, Bella, she's just young. She doesn't know what she's thinking right now but she'll realize it some time." Without giving away any spoilers, it must have been a shock when you read book four. Taylor Lautner: "It was. I know when I heard it I was very surprised. [spoiler deleted]… But the series is great. I'm in love with the series. I've never been a book reader, never really read any books besides Twilight. Very rarely, maybe an occasional school book." You were really into sports, right? Taylor Lautner: "Yes, I was - lots of sports my whole life." Taylor Lautner: "I don't really. I mean I don't compete anymore. I haven't competed in like four or five years, but I still try and keep up with it when I can in my free time. I go down to the XMA headquarters in North Hollywood where my Karate trainer just opened up this big complex and it's awesome. It's topnotch. So I do go down there when I can and try and kick off some rust." That might be a good way to buff up for the next one. Maybe you can even talk them into incorporating that into the character of Jacob. Have they said anything to you about getting ready? Taylor Lautner: "They haven't. They're really keeping things focused on Twilight right now." Which is really weird because they're going to have to film it soon. Taylor Lautner: "Right, so I'm getting ready if my number’s called. We'll see." New Moon is going to put you so much more in the spotlight. I would imagine that what you're going through now is going to be nothing to what you'll go through when New Moon comes out. Taylor Lautner: "Yes, it's scary to think about." With the incredible number of passionate Twilight fans around the world, how does it feel to know there's so much weight on your shoulders bringing this to life? How do you handle that? Taylor Lautner: "Sometimes it can be nerve-racking. It's hard not to be nervous when you know there's a few million fans out there who are just dying for this movie to come out and making sure it's topnotch, the best and the characters are wonderful. So I mean yes, it gets nerve-racking sometimes. But for the most part I'm just really excited. I'm totally stoked to be a part of it." They actually reshot a few scenes and went back and filmed a couple of additional ones. Were you involved in that? Taylor Lautner: "Yes, they did. They did a few reshoots and yes, one of the scenes was with me." Was it a re-shoot or a new scene that was added in? Taylor Lautner: "Mine was actually a new scene. Everything else was reshoots, but mine was a new one." They wanted more of you? Taylor Lautner: [Laughing] "I guess so." What did they add in? Taylor Lautner: "It was the prom scene." That wasn't originally in the script? Taylor Lautner: "It wasn't in the script." It’s an important scene in the book. Taylor Lautner: "I know, I was wondering that too. When I read the script I was like, I was like, 'Really, he doesn't come to the prom?'" So did you suggest that? "Hey, prom, hello, I'm supposed to be there?" Taylor Lautner: "I think I asked Catherine [Hardwicke] about it and I forget what she said. But I was just like, 'Oh, okay…' But sure enough, you know, they were like, 'Okay, we’re doing it.'"" 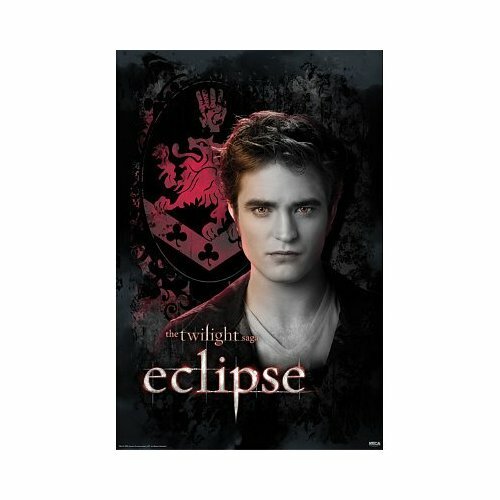 OK if you haven't guessed it yet, I am an Edward Cullen Fan!!! Jacob is a nice guy and all, but I have always routed for Edward. After doing some research, I found a couple of old Robert Pattinson interviews before the first Twilight Movie came out. I found them quite funny!! At least over the last two years, he has gotten a little older and he speaks a little better!! "Chances are someone in your life is in love with Edward Cullen. It may be your daughter. It could be your tween niece. Perhaps it's your 50-something coworker. It seems women of all ages are besotted by the fictional hero of Stephenie Meyer's blockbuster young adult book series, which makes the leap to the big screen this Friday when Twilight opens in theatres. Not that Edward is your typical teen movie hero. As a 107-year-old vampire, he's unfailingly polite, resolutely chaste and the picture of chiseled perfection. 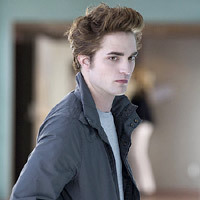 But in his quest to woo Bella Swan, an ordinary teenage girl, Edward also exhibits a dark side rarely seen in films aimed at the under-18 set. He can be jealous and moody, he sneaks into her room at night to watch her sleep and, oh yeah, he's constantly fighting his nearly irresistible urge to drain her blood. In other words, he's no Zac Efron. "No one seems to see that," says 22-year-old British actor Robert Pattinson, who plays Edward in the film. "If Edward was not a fictional character and you just met him in reality, you know, he's one of those guys who'd be like an axe murderer. He's ultra-polite and really formal all the time and like, 'Let me open the door! Let me carry the bags!'" Pattinson shakes his head, adding with a laugh, "Literally, you can just tell he'd freak out one day and shoot someone." While the actor is surprised by teen girls' idolization of his character, he's downright bewildered when it comes to their obsession with him. Almost overnight, the lanky actor has gone from being known only for playing a minor character in the Harry Potter films to Hollywood's hottest heartthrob. Though his co-star, Kristen Stewart, is getting some attention for her role as Bella, most of the Twilight fan frenzy has landed squarely on Pattinson's reluctant shoulders. Last week, an autograph signing at a San Francisco mall was cancelled when the out-of-control crowd left at least one youngster bruised and bloodied, while a recent cast appearance at MuchMusic quickly dissolved into fandemonium, with Pattinson's soft-spoken answers drowned out by the high-pitched sequels of 2000 girls, some of whom camped out for two days just to catch a glimpse of him. "I don't really process it; I just accept it," he admits from the safe confines of a downtown Toronto hotel hours before the MuchMusic mayhem. "Well, now I do. Before I used to get all overwhelmed and kind of like emotional about it and everything and now I'm just like, I just have a very strange job where I just get put on a plane, sent to somewhere and everyone screams and then I go somewhere else and do it again." That's not to say he's fully comfortable with his new status as a teen pinup. He readily admits to being astounded at landing the role of Edward – who Meyer describes in the book as "devastatingly, inhumanly beautiful" – and claims he's too self-conscious to watch himself on film. He's especially mortified by the thought of seeing Twilight's pivotal romance scene, in which Edward reveals his immortal secret to Bella by stepping out from the shadows into a sun-drenched meadow to expose his inhuman, sparkly skin. "That whole scene...just having to take your shirt off for a guy when you're not exactly like a gym bunny, especially when you're supposed to be, it was one of the most embarrassing days of my life," he admits with a cringe, raking his fingers through his trademark messy hair. "So I don't want to see it. Unless I'm just literally like, you can't even recognize me as a human, then I don't want to see it." It's that kind of self-deprecating shyness that makes it easy to understand the attraction he holds for teenage girls. But it's Pattinson's insistence on adding depth and layers to the source material – which, no offense to Meyer, is a highly entertaining series that amounts to little more than literary junk food – that is casting a spell on older fans. Much has been made about his clash with the movie studio over his desire to play Edward as a manic depressive, and he openly talks about his determination to steer the film out of fairy tale territory ("I tried to make the end of this more ambivalent but I think people wanted more of a happy ending"). Pattinson admits that he even locked horns with the author herself when they first began discussing his approach to the character. "[Stephenie] was saying that he was happier than I thought he was and he enjoyed certain aspects of his supernatural abilities, and I just thought he wouldn't at all," he explains. "I was just thinking how much, if I was in his position, I'd just think 'Wow, I can jump really high. Great. But I have to kill people in return.' But you know, I can see where she was coming from. It's her creation at the end of the day." It will be interesting to see how Pattinson's commitment to his character's integrity will come into play if the film spawns sequels (which, judging by Twilight's brisk ticket pre-sales and inescapable media hype, is almost a sure thing). In the next book in the series, New Moon, Edward (spoiler alert!) leaves Bella a few chapters in, and doesn't return until near the end. But will the studio – knowing they have in Pattinson teen girl catnip – allow his character to disappear for more than half of the film, or will New Moon be re-jigged to give the audience a glimpse at what Edward was up to on his world travels? "Oh no, I hope not. I really, really hope not," Pattinson says with a shudder. "That re-entrance scene, the comeback scene could be really amazing if they just left it the whole time. I haven't seen the new script, but that'd be silly if they put in little vignettes [about Edward's whereabouts]." A Twilight sequel that doesn't prominently feature Edward Cullen and/or Robert Pattinson? Now that'll give the girls something to scream about." "Robert Pattinson stars as vampire Edward Cullen in Twilight. If he isn't already, Robert Pattinson will soon be a household name. The young British actor stars as the beautiful yet conflicted 107-year-old vampire Edward Cullen in Twilight, with Kristen Stewart as the 17-year-old mortal (Bella Swan) with whom he unexpectedly embarks on a dangerous, passionate love affair. For anyone living under a rock, the film version of Twilight is based on the first of Stephenie Meyer’s immensely popular vampire novels, which have sold an estimated 17 million copies worldwide since 2005. Just as they did when the Harry Potter novels were brought to the big screen, fans have been weighing in every step of the way. At first, there was criticism and resistance to Pattinson playing the lead role in the movie, directed by Thirteen’s Catherine Hardwicke. Now, it would be an understatement to say fans are smitten, and that some even want to be bitten by him—literally. In the days before the film premiered, the 22-year-old Pattinson—previously best known for his role as Cedric Diggory in two of the Potter films—sat down with Fandango to dish about the challenges of his breakout role, his on-screen relationship with Stewart, his passion for music and his already infamous head of hair. Fandango:You’re voted the “sexiest vampire” on Fandango. What do you think it is that makes Edward so appealing? Pattinson: I really can't tell you, but maybe because it’s modern. I'm kind of figuring it out myself. I'm sure they said Brad Pitt was the sexiest vampire when he did [1994’s] Interview with the Vampire. Fandango: What were some of the things that helped you immerse yourself in the role of Edward? Pattinson: I was alone for a very long time. I went to Oregon before anyone else, about 2-1/2 months before, and just didn't talk to anyone. I worked with a trainer every day and went running, but I tried not to speak to anyone. So when the cast came...well, have you ever tried not speaking to anyone for weeks...the first person you talk to, the conversation is kind of strange. I spent a lot of time just reading the script and the books. I just wanted to make sure I knew as much about the character as possible. Fandango: How would you describe the dynamic between Edward and Bella? Pattinson: It's very kind of operatic. It's like a relationship straight out of a melodrama. You have two people who think that they'll die, or one of them will die, just by being together or that something terrible will happen, so it’s just a complete melodrama. I mean, the way me and Kristen interpreted it is, Edward was this kind of demigod who's very reluctant. That’s played against the needs of this normal 17-year-old girl who thinks he is some perfect being, but he's really just a guy who doesn't really have a meaning to his existence. Fandango: Girls are going absolutely nuts over you and the character. What’s the weirdest fan request you’ve gotten? Anything that freaked you out? Pattinson: The weirdest was when I was in New York a few days ago at this event. A seven-year-old girl came up on the stage asked me to bite her and not even in a jokey way--she was serious--in a longing way! It made me think, “You don't know what you're asking. That would get me arrested.” That was very, very odd. Fandango: Fans go crazy about your hair. Do you like it long or are you just dying to cut it? Pattinson: I haven't changed my hair for, like, years. I've never really had a specific look in mind. It is what it is… [laughs.] I don't really style my hair. It's so funny, a friend of mine from London came over and said, “Why is everyone going on about your hair all the time?” Everyone has hair like that in London. And around the world you see people with hair like that, so I don't see it being different at all. As soon as people started saying “that's his trademark” I thought I should shave my head as his trademark. I'm trying to convince them to shave my head for the second movie. Fandango: What do you think about Edward’s look with the topaz contacts and pale skin? Pattinson: I have very sensitive eyes, so it took like 20 minutes to get in the contacts every single day. People said you get used to it after awhile, but after 3- 1/2 months, it never, ever got better. It also limits you… it’s like you have these masks on your eyes which take away the life from them, which is very frustrating sometimes. You just have to be shot and look like you're expressionless. Fandango: What was it like for you to have supernatural powers, and to do the flying scenes? Pattinson: It makes it harder to relate to an audience. For the big stunts, if I could jump 5,000 feet, why would I walk? It makes playing the actual character very difficult. I don't know why, but I went into it not thinking about the stunts or that it was a vampire film, but about the drama. Fandango: Tell us about the piano song you composed for Twilight. Pattinson: I did a scene where I played a thing that I made up. It was the best piano piece I've ever done in my life but it didn't really fit. In the end, as part of the whole score, it is very different than what I came up with. The song on the soundtrack, “Never Think”—my best friend who taught me how to play the guitar wrote the lyrics for it last year and I made it into a song, and the other one (“Let Me Sign”) me and another guy wrote. They weren’t meant for the movie, but Catherine heard them and put them in the cut, and I didn't know they would be on the soundtrack. I had thought it would be quite cool to have it be a secret thing and not have my name in the credits. Like a marketing gimmick. It was nice, and also helped my friends as well. Fandango: If you had a chance to collaborate with any music artist, who would it be? Pattinson: I saw Van Morrison last night at the Hollywood Bowl. I've seen him five times before and he really pulled it out of the bag. He played like it was 30 years ago. I would love to do something with him now. He was my inspiration for doing music in the first place. Yes, he's still got it. He played the entirety of his album Astral Weeks. The whole thing was unbelievable. He was just as free as he was when he was younger, which was amazing. Fandango: Are you signed on to the other films, and which would be your favorite book to film? Pattinson: I don't know what the specifics are. I went into it thinking it was going to be a trilogy. I think everything is dependent on how it does on November 21. Hopefully they'll do the second one and that’s the one I liked most out of the series"
But Dee has a plan. With the Codex and the creatures on Alcatraz, he can control the world. All he needs is the help of the Archons. But for his plan to work, he must raise the Mother of the Gods from the dead. For that, he'll have to train a necromancer. And the twins of legend will make the perfect pupils. . . ."
I found this book to be a great read. I loved how Michael Scott has "real life" characters like Billy the Kid and William Shakespeare in the story!!! The story is very well written and kept me on the edge of my seat the whole time. I am still unsure as to who the bad guys are though!! There are no clear cut evils!! I cant wait for the next one to come out. Thanks to my new friend John, you can win a Not For Sale Limited Edition, Editors Copy of the book plus a BPA Free Necromancer Water Bottle!!! Dont forget to check out the online game for the book, Quest For The Codex. I have been playing it and it's alot of fun!! You can check out my post about it here. Giveaway ends on July 10th 2010 (my birthday!!) at 11:59pm. Open to US readers in the 48 contiguous states only. A valid email address must be in all comments. Winner has 48 hrs to respond or new winner will be drawn. This giveaway was made possible by Random House. VAMPIRE WEEK ON SARAH'S BLOG OF FUN!! I am bringing all the loyal Twilight Fans Vampire Week!! 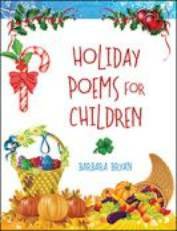 Barbara Bryan has a lot of adorable kid friendly holiday poems. My 4 yr old loved all the Halloween poems. sitting at the top of the hill. it gives us quite a thrill. is when we see the ghost. even though he is the host. accompanied by charming, full color illustrations. and young readers alike will want to go over time and time again. This is a great bedtime book and perfect for all the holidays!!! Another great Children's story from Marilyn Randall. This one is about a scared turtle who overcomes his fears with the help of a mouse. Again the drawings are beautiful, the story is written like a poem, and everyone in this house loved the story line!! It's a true story of compassion and never ending friendship. "For Faithful Friends is all about overcoming our fears and empowering ourselves with faith. As in this case, we often overcome our own shortfalls by putting others ahead of ourselves. Once the turtle learned that his friend was in danger, he set aside his own fears to save him, thus saving the mouse's life and himself from a lonely fate as well. I hope each and every child will learn the value of faith and compassion from this story. We all need a Faithful Friend to rely on as we go through this life"
I loved how this book teaches kids a great lesson in friendship. I hope my boys take it to heart!! I have two small boys (4 yrs and 1 yr) and they love to be read to before bed. 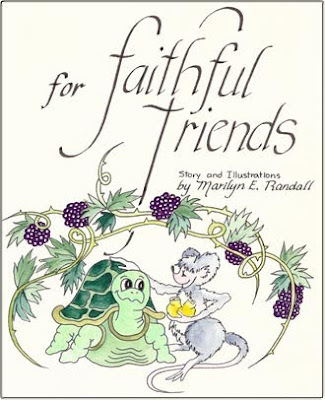 I love Marilyn Randalls books, so when she offered me a chance to review her children's books, I jumped at the chance!! This was the first one we read. The story is written like a poem, which I thought was a great way to write it. Both boys loved the pictures, and how there is a very happy ending. 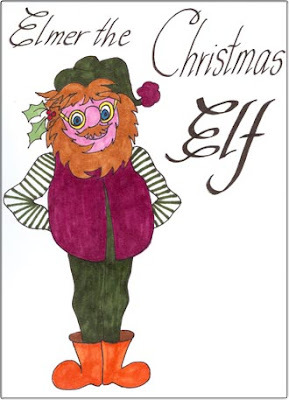 "Elmer The Christmas Elf is the newest in the growing list of my children's books and is one of my personal favorites. Elmer is overcome with grief when he discovers he has missed sending a toy with Santa to one child and he doesn't know how he will get that missing toy to the little boy. He prays for help and an angel hears his plea and helps him with the answer he needs and then Santa saves the day on Christmas morning when he solves the problem in a most unusual and heartwarming way. It is a solution that Elmer is overwhelmed by and it makes his Christmas, not just knowing that the problem was solved, but also knowing how much he is loved by all the boys and girls he works so hard for each year." You can purchase this book on Marilyns site for $18.95. This is the second book I have read from Marilyn Randall and they just keep getting better! 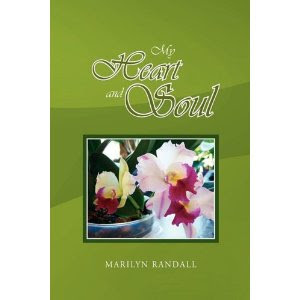 Marilyn has a great writing style with her poems. She writes about true life situations and how God is there for you. Just the thought that you noticed me, and my heart is racing. It must be you: no other has this affect upon my heart. You were gone so fast before, left without a word. Where no other takes me? It must be you. Tall, young, beautiful, can you really be a part of my life? Or do you want something I can't give you? Make my heart sing and my body breathe with yours. Two in sync like the wind and the sea. It must be you. Even for a little while, let me have that part of you. To places only we know about where others cannnot find us. It must be you because you are the only one I want. All of you, if only for today. Let me ride you spirit and your soul. And feel enough to take you to the top with me. Give me you. Give me to you. It must be you. Don't let go. Don't take away my heart and drop it. Keep me safe and take care of me, even for a minute or a passing few. And let me love you better than before. It must be you. Follow me, lead me, talk to me, and whisper dreams of love to me. Touch me, hold me, caress me, just never let me go. And always with this passion. It must be you." a year as a graphic artist for Seattle Menu Specialists in Seattle, Washington. During her time as graphic production Director, she was assigned major accounts and spent time traveling to different parts of the country to co-ordinate large art projects for wholesale clients. Later she moved to North Idaho where she again became the Art Director for a printing company in Coeur d’Alene, Idaho. Upon moving back to the Seattle area in 1985, she continued to work for printing companies as both art director and graphic production director until in 1990 when she opened her own graphic design business called Personal Touch Designs by Marilyn. Her business consisted of designing silkscreen art for ladies sweatshirts and other garments and free lance business logo design. She designed the “I’m Proud To Be An American” shirt that was purchased by NAS Whidbey, the Navel Air Station on Whidbey Island, during Operation Desert Storm. In 1993 she retired from her business and her professional career and started writing and illustrating for her own pleasure. Her first published book was titled “Feelings” and it was published in the early 1990’s, but it was a limited edition printing and because it was well received, it inspired her to pursue her dream of writing and illustrating her children’s books. Four of the children’s books were written and illustrated in 1995, yet they are being published for the first time today. Her newest books, “My Heart and Soul” and “Elmer The Christmas Elf” are a continuation of her earlier endeavors. Her writings reflect her life story as she uses her craft to express her thoughts and feelings about not only her life events, but also about social issues in today’s world. She is a recovering alcoholic with 19+ years of sobriety, which she attributes completely to the success and many achievements she has accomplished. Her life struggles range from sexual abuse issues beginning in her childhood to the devastating loss of family members and eventually the loss of her spouse who succumbed to cancer after a long, seven year battle with that dreaded disease, which took it’s toll on her life and health as well. Remaining steadfastly faithful and God inspired has been the key to carry her through some very difficult life experiences. She maintains a positive attitude today with an open and loving heart and when life becomes difficult as it sometimes does, she continues to stay upbeat and positive, always expressing her message of hope and steadfastness and never giving up. Her children’s books especially reflect a strong morale attitude with positive answers to today’s life situations, which are faced daily by today’s youth. Teaching children about faith and learning to cope with troubles in a positive and healthy way are inspirations she hopes to help instill in our families struggling with today’s issues. Her stories are about coping with fear, greed, vanity and patience, always with a positive outcome to the story and in ways that children can understand and put to use with their own situations. The poetry format of all her children’s stories retains the charm and rhythms which children love to both read for themselves or hear read to them. These delightful stories have been well received by those who have read them, while they and others anxiously await the publication of her newest story, written and illustrated this year. All are charming in their own right and will delight any child as well as some adults." Marilyn has a great assortment of books out, including her Children's books. Head over to her site to see all the great titles. I love to read, and poetry is one of my favorite things. When I was given the chance to read this book, I was excited. 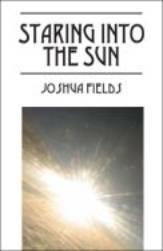 Poetry takes many forms, but Joshua's is hilarious!!! He writes his poems like a conversation. "You know what today is? How about two kids, a house and a dog? I can see my Husband and I having that exact conversation. My Husband pulls the two kids, house and dog line on me all the time!! Give this book a read. It's well worth it for the laughs!! of women and of men's relationships with them. give-and-take that often defines the essence of a relationship. that will ring true to all readers as the defining repartee between a man and a woman. Whether wittily exploring the most mundane moments in "Shopping," "The Commute"
far more about a relationship than a thousand pictures can. move? / Can't move, paralyzed from the waist down / A shame / There's always rehab. from "In the Beginning": Is she sweet? / Very / Is she soft? / Very / A lot to lose. observed experiences with them in future collections of his poetry. Joshua Fields is originally from Chicago, but now resides in California"
I want to make sure that everyone realizes how BIG this event is. I am still getting more sponsors to contribute, and I am throwing in some of my own favorites. I don't want to give too much away, but so far the prize total on my blog is $250+ and still growing. 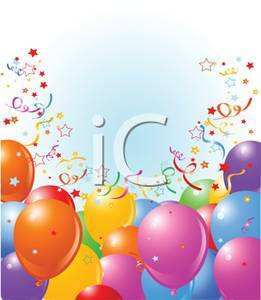 Please set September 15th aside to have some great fun meeting new blogs, visiting old favorites (mine I hope!!) and entering more giveaways then you ever imagined!!!! In case you don't know what Blogmania is, here is alittle more information.WOW! Aren’t you the lucky one! You’ve arrived at exactly the right time to explore lots of new blogs, all of which, ARE GIVING AWAY A VERY SPECIAL BLOGMANIA GIVEAWAY (For One Day Only) . Each blog will have a number similar to this (25 of 175) and each new blog link will have a number. These numbers will allow you to keep track of which blogs you’ve visited and how many are left to visit. Now really, isn’t this the easiest thing ever! 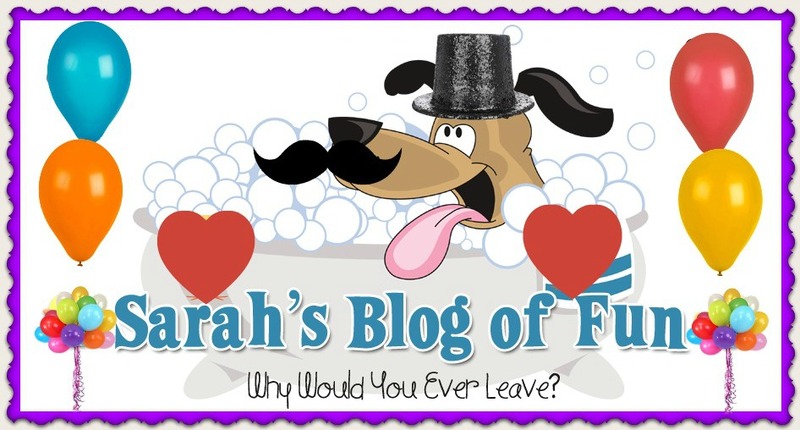 AND SO MUCH FUN…I know you’ll want to visit as many blogs as you can. So, if you see something that interests you on any of our participating blogs, why not bookmark that site or become a blog follower. Later, when you have more time, you can discover all its fabulous treasures. I have the worst luck in the world, so I assumed that we were going to get nothing but rain for the four days we were in Maine. We got just the opposite. It was BEAUTIFUL!! We had nice sunny weather and we hung out on the beach alot!! We even brought the pillow pet with us!!! Ben Jr spent alot more time in the water. Usually he avoids that!!! Of course when I say smile, this is what he does!!! Doug had a great time too. When Ben was his age, he HATED the sand. Doug was the opposite. He loved it. He even liked the water!!! Wow, I cant believe that I just hit my 300th post!!! It seems like just yesterday I started this blog!!! So in honor of my milestone, I am having a giveaway!! Because I have so many friends all over this world, I am leaving it open to all!! Now I wasn't quite sure what I wanted to give away at first. I had to really think about it. So I decided to do a theme. This package is called "Pamper yourself!" This prize pack is over a $125 value!!! That's up to 22 possible entries!!! Giveaway ends on July 10th 2010 (my birthday!!) at 11:59pm. Open to EVERYONE. A valid email address must be in all comments. Winner has 48 hrs to respond or new winner will be drawn. This giveaway was made possible by ME!!!! I am so glad that even though my DVR didn't record last weeks episode, I was able to find it on line and watch it. I liked how Ramsey switched Autumn and Scott. That is a true test of your skills if you are sent from the winning team to the loosing team. The pig thing made me nervous at first. I didn't think they would actually slaughter them. If Andrew was still here, it would have tried!!! The Red team got some pretty interesting ingredients. Prunes and Blood Sausage, YUCK!!! The blue team is getting really good. It's about time!!! I couldn't handle listening to those pigs squeal. That would have drove me nuts!! That was an interesting adult conversation they had that day. You learn something new everyday!! The girls get dumber each week. Why don't they listen to Ramsey?? I love watching the chefs serving. If you want to be a head chef, you should learn every aspect of the restaurant. OK the women cant get any worse. Or so I thought. Autumn is so evil. I hate when people sabotage others. That is ridiculous. Scott and Siobhan are not getting any better. They get worse each episode. Maria loves to get yelled at doesn't she?? She is an airhead. I am impressed with Fran. She did really well this show. I was not really surprised when Maria got canned. It was time for her to go. Fran picking Nilka over Scott for elimination was silly. Nilka's reaction was a little extreme. Nilka was not very nice with the ingredient picking. I can understand being mad, but that was ridiculous. What ever happened to the word TEAM!!! New pots and pans is a great reward. I need new ones badly!! I can't believe that Siobhan let herself touch the cleaning products if she is that allergic. There are way too many people leaving this show each season for medical reasons. Siobhan can't cook pasta?? Isn't that cooking 101?? The little girl who colored Ramsey and then wrote "You Donkey" was cute!!! Scott has never once taken responsibility for his actions. He is very quick to blame others. I really can not blame Ramsey for throwing out the whole Red Kitchen. They were awful. That was quite entertaining watching Ramsey and the Sou Chefs complete the service. They are soooooo much better then the contestants. Scott is a know it all. He drives me nuts. Siobhan isn't any better. The arguing is never ending with the red team. That is going to be their death sentence. It was way past Scott's time to go. I was glad to see the back end of him!! Poor Benjamin being thrown on the red team. I hope he can prove himself there, and not fall like Scott. So on that note, I need to say goodbye to Vhubler, and Meg. Thank you both for playing! !